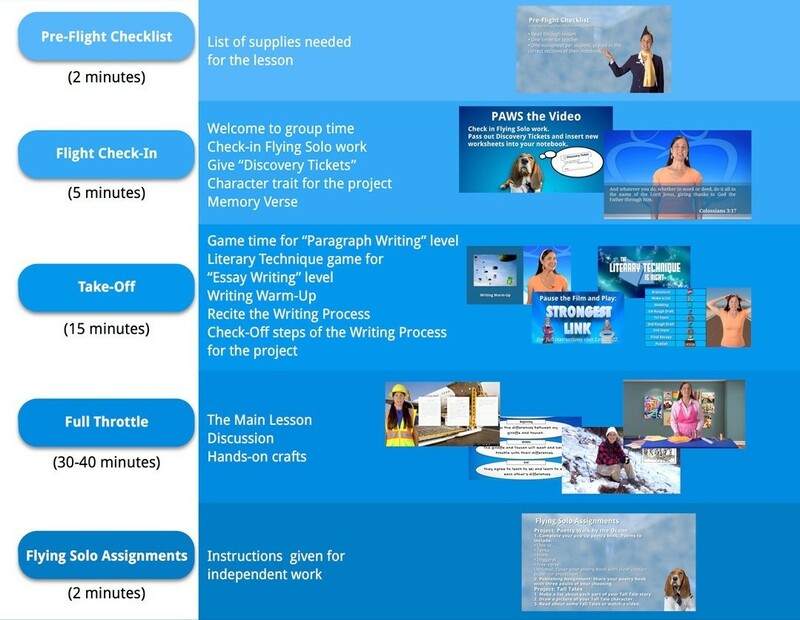 Each filmed lesson consists of five components that move the student step-by-step through the writing process. Schedule one hour to complete all five parts. Your talents and mentorship are key elements to the success of the lesson. Scripted lessons provide instructions for each lesson. Estimated time for Flying Solo Work for the Launching Paragraph level is 30-60 min. Estimated time for Flying Solo Work for the Launching Essay level is 60-90 min.